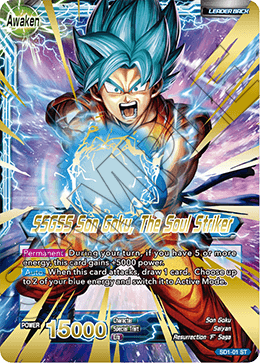 When this card attacks, choose up to 1 of your blue energy and switch it to Active Mode. 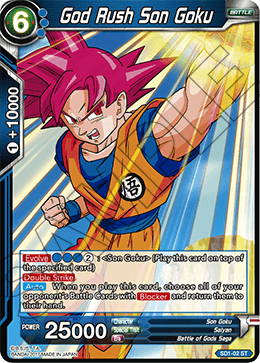 During your turn, if you have 5 or more energy, this card gains +5000 power. When this card attacks, draw 1 card. Choose up to 2 of your blue energy and switch it to Active Mode. 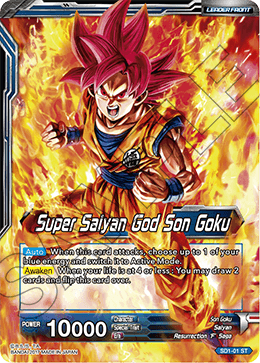 When you play this card, choose all of your opponent's Battle Cards with and return them to their hand. 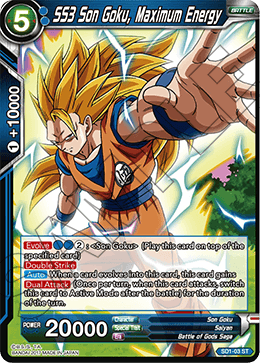 When a card evolves into this card, this card gains (Once per turn, when this card attacks, switch this card to Active Mode after the battle) for the duration of the turn. 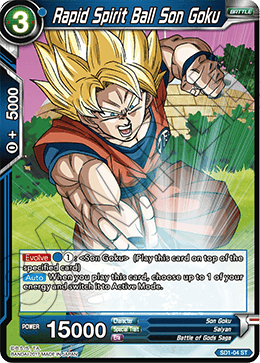 When you play this card, choose up to 1 of your energy and switch it to Active Mode. 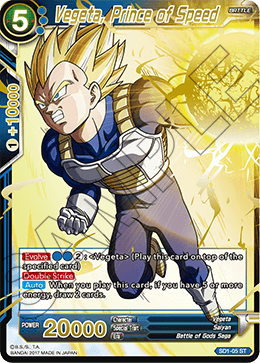 When you play this card, if you have 5 or more energy, draw 2 cards.